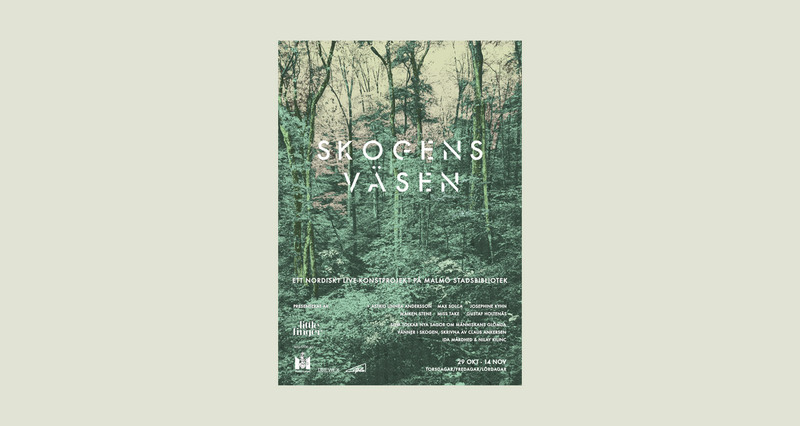 Skogens Väsen was an art project created by Little Finger in Malmö, Sweden during 2015. The project invited artists and writers to create new ideas on the relationship between modern man and the mythological beings of the forest. For a couple of weeks, the projects was held at the city library where the public could see the 6 artists working with creating these new stories in a live art setting. This A1 size poster was created for the project.